How Far is Salarpuria Misty Charm? Salarpuria Sattva Group is ready to pre launch an exclusive project in Kanakapura Road, South Bangalore very soon. This development will have 2 sides open homes with wide balconies for natural air and light to pass in. 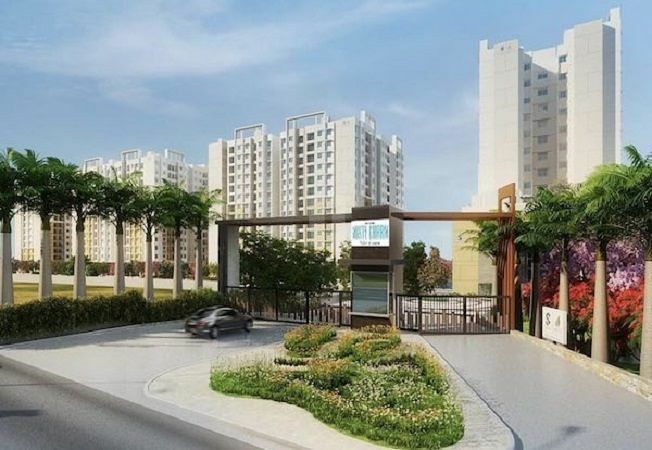 Named Salarpuria Sattva Misty Charm, it is positioned in one of the sought after locations of Kanakapura which also consist of luxurious environment surrounded by lush greenery from all sides. 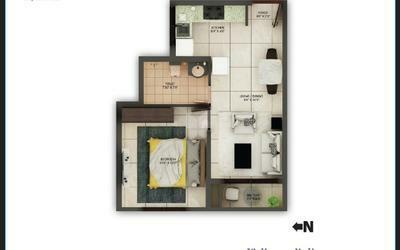 It includes thoughtfully designed apartments in 1bhk, 2bhk and 3 bhk’s having adequate space for a fine living. Salarpuria Sattva is also providing its valued residents a whole range of world class amenities which includes a clubhouse, children’s play area, walking zone etc. and much more for each member of the family. It is always a privilege to stay close to nature. With the increasing amount of pollution and dust in the city, homebuyers nowadays are showing interest in settling away from this everyday chaos. Salarpuria Sattva, the well-known real estate builder has come up with a brand new project in Kanakapura Road, Bangalore south very soon. Named Misty Charm this pre-launch development is believed to make a landmark project in this locality once completed. Surrounded by a host of greenery and large amount of open space, this venture is coming up on 9.5 acres of land area, with a total of 797 units, just opposite to Holiday Village Resort. Salarpuria Misty Charm is offering 1, 2 and 3 bhk luxurious abodes designed aesthetically by some of the best architectures of the industry. These homes are ranging between 551 Sqft-1432 Sqft priced affordably as compared to the current market trend. The starting price has been kept at 30 Lakhs and the possession date is expected from March 2022 onwards. The residents of this development will also enjoy a number of well-equipped amenities like a clubhouse, jogging track, kid’s play area, BBQ Area, gardens, amphitheatre etc. and many more. The specifications in this project are of world class quality. The flooring is done using vitrified tiles and the buildings have 35 mm thick flush doors. All the buildings have fire resistant wires and have 100% power back up facility. They also have advanced security feature like intercom facility and video door phones. To know more, visit the site and book your dream home soon. Nearest Metro : 1 Kms, Vajarahalli Metro Station.